Keurig K525 Coffee Maker VS Keurig K575 Coffee Maker – Which One Is Best? For coffee lovers around the world, purchasing the correct and perfect coffee maker to suit their needs is nearly as important as purchasing a new car. Many coffee drinkers who know their stuff always rely on a Keurig coffee maker to make their perfect brew. With a resume as long as Keurig’s and a list of approximately 50 models manufactured over 35 years (see Keurig k525 vs k575 as an example), it is easy to see why so many people love them. Often, once you have used a Keurig you will always use a Keurig and not even look at another brand. The only downside with Keurig is they have a habit of taking an existing model and rebranding it with a new name. This often leaves shoppers confused and trying to find a difference between two identical models is frustrating and time-consuming. In most instances why they do this is not always clear. But they have repeatedly down it with any models over the years. When we started looking into the difference between the Keurig k525 and k575 it quickly became apparent that in true Keurig style the two models are identical and that this was not going to be your average comparison; we had to ditch the long list of this machine offers this, and that machine offers that, simply because there are no differences between them in features or in looks and they are identical twins under different model numbers. 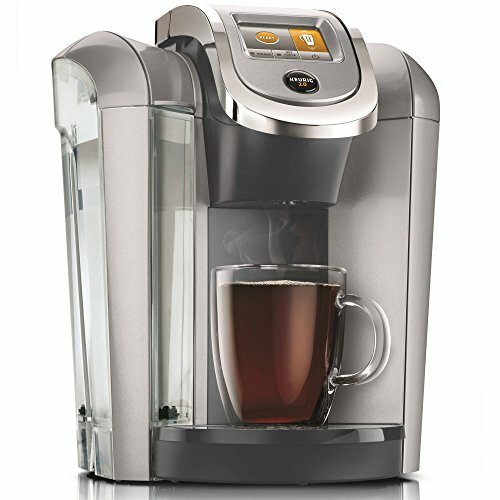 The Keurig K525 came first and was then rebranded to become the K575, why? Nobody knows, it is just the Keurig way. 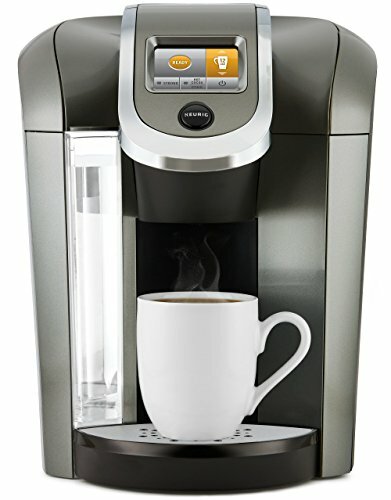 So, out with the long lists of differences and trying to determine which is best we will instead compile a list of features that both the Keurig K525 and K575 share. As there are no differences between Keurig K525 and K575 they share all the same features. That does not mean that they don’t offer some great features. It is important to mention that the K525 is also available in the K525c model – the only difference being that the c model comes with the reusable K-cup included. The K525 and the K575 are the top-of-the-range home coffee makers with the most features. Your next step would be an office machine. They have some impressive features and a great look that will add value to any kitchen. The Keurig K575 and the K525 have a stylish and sophisticated design with 3 colors to choose from. colors. While they look stainless steel, they are made mainly of plastic, which is possibly one of my only dislikes. They give you separate settings for the different beverages such as tea and hot cocoa and even mochas. 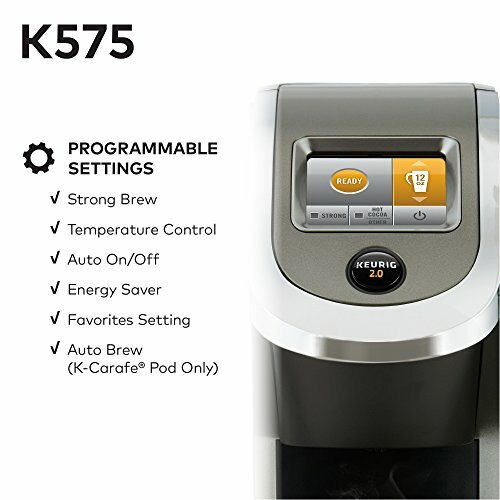 The K525 was the first model, followed by the K525c and then the K 575have the Keurig 2.0 technology. They both feature a large 2.8” touchscreen and have a range of brew sizes from 4 to 30 oz. You can either brew a single cup or carafe which makes 4 cups at once also using the one-touch technology. They both have all the cool features you would expect to find in the ultimate home coffee maker such as, temperature control, strength and altitude setting, auto on/off, color display with customizable wallpapers and colors; it also has a night light that you can adjust that helps you make your beverage with ease, even in poorly lit areas. It must be noted that the temperature control that these models have are a great feature not found on many single-serve coffee makers; without it, the coffee just doesn’t seem to be hot enough. It also helps that you can have auto hot water to use when needing for other things such as making oats. 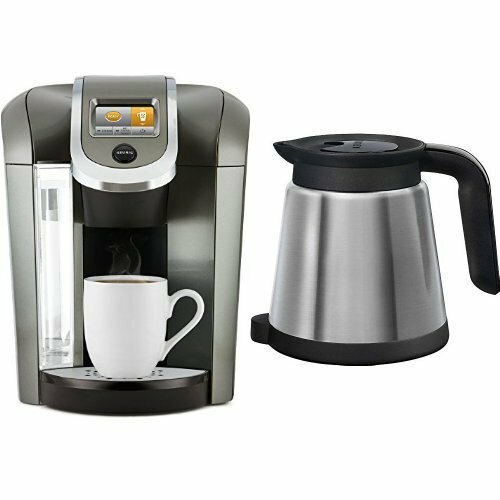 The Keurig K525 and K575 coffee makers both have the strength control feature, which is a great feature to have on a coffee maker. The strength setting works by adjusting the time that it takes to make the cup of coffee. A normal brew will take approximately 1 minute to brew, and you are ready to drink it, however, if you prefer a stronger cup of coffee you can use the strong setting to adjust it to your taste. The strength setting ability is what separates an average coffee maker from a great coffee maker and it is one of the most important features that many look for in a brewer. Keurig brewers are made to be used at elevations up to 6,000 ft., however, the K200 and K250 models have a built-in altitude setting that adjusts the temperature and allows you to operate them with ease at higher altitudes. The large 2.8” digital touchscreen is one the most attractive features on these models. The screens are color screens with customizable wallpapers and color options that you can choose to get your preferred look. All the programmable features are operated and programmed from this display panel making it easy to use. Settings such as strength setting, temperature control, brew size, auto on/off and the digital clock are all found here. Some people say that the large screen is an overkill and not necessary, however it is by far one of the coffee makers best features for me. I love the night light feature and the fact that the colors can be changed as you wish. The digital clock is a nice touch to the display and without it, the machine will not be able to allow you to operate the auto on/off feature. Any great coffee maker needs to have an auto on/off feature. 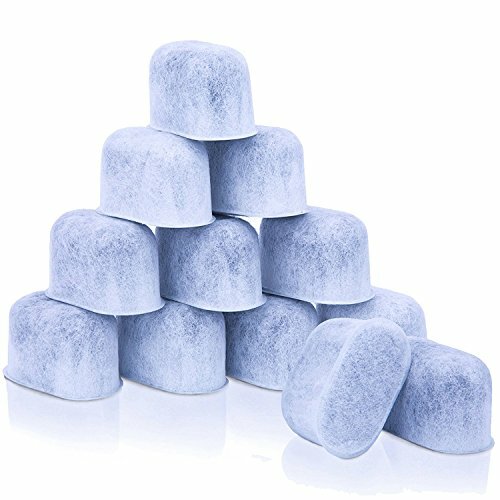 As usual, the Keurig K525 and 575, like most Keurig models, are compatible with the simple and convenient Keurig 2.0 My K-Cup universal and reusable filter. This filter allows you to choose from a much larger variety of coffees and you are not only limited to the K-Cup pods that are on offer. The Keurig 2.0 My K-Cup universal and the reusable filter is the only reusable filter that is approved to be used with all Keurig K-Cup coffee makers and they are so simple and easy to use. They are BPA free and are dishwasher safe, only put them on the top shelf of your dishwasher. The 80 oz. water reservoir is the largest water reservoir on any home coffee maker currently on the market. The large water reservoir gives you approximately 10 cups of coffee before needing to refill the reservoir. The reservoir is removable for easy filling and cleaning, which is extremely convenient. You are also able to fill it while it is still on the machine using the flip-top lid. The K575 and K525 give you versatility and options when it comes to brewing size not often seen on a home coffee maker. 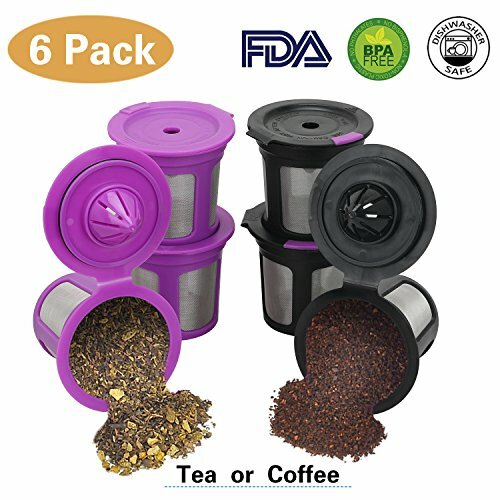 The brew sizes are K-Cup Pod brew sizes: 4, 6, 8, 10, 12 oz., Vue Pod brew sizes: 12, 14, 16, 18 oz., K-Mug Pod brew sizes: 12, 14, 16, 18 oz., K-Carafe Pod brew sizes: 22, 26, 30 oz. Whether you want a quick single-serve cup of coffee or a round of after-dinner beverages at your next dinner party, the K575 and K525 will deliver great-tasting coffee in record times. Both models are compatible with some Keurig K-cups and some non-Keurig branded K-Cups. The Keurig 2.0 technology machines are able to differentiate between different brand K-Cups and some brands will work and some will not. It is not clear which brands specifically don’t work but they are able to differentiate by reading the lid of the pod. If you prefer the coffee or any other beverage from another brand you do have the option of using the Keurig My K-Cup universal and reusable filter which gives you even more options. This is what it always comes down to with most identical Keurig models that have been rebranded. The machines are always identical in looks and features, however, the difference is usually what you find in the box. With K525 vs K575, the difference is a water filter starter kit. If you already have a water filter in your home it may not be worth spending the extra few money for the K575. Both the Keurig K575 and K525 have very few shortfalls. It is a top-of-the-range home coffee maker with all the bells and whistles that you can expect from such a great coffee maker. The one thing that always stands out for me, and as I am not aware of anyone having any issues with this, so it is just a personal preference, but most Keurig models are constructed using mainly plastic. The plastic is colored to look like platinum stainless steel and even aluminum, but it is just not the same to me. Also, with such a full house model that has all the versatility and abilities that you could possibly need it would have been a nice extra touch if Keurig had included the carafe instead of making it an extra purchase. It should also be noted that only Keurig brand carafes are compatible so don’t try and purchase a cheaper brand to save a few bucks because it will end up costing you. If you are in the market for a top-of-the-range home coffee maker with all the bells and whistles and with a large water reservoir, the K525 or K575 will serve you very well. They really are top of the range and Keurig has pushed the single-serve coffee brewer to the limits with this one. The next step after this would be an office coffee maker. They are ideal coffee makers if you enjoy entertaining or have a large family as they can produce up to 10 cups before you need to refill the reservoir. They are not only full-featured, well-made coffee maker; they also look great. They are easy to use and the large 2.8” display has many features that are customizable, allowing you to control and adjust the machine to your taste and style. What is also great is that any settings you choose can be saved so you will not need to adjust settings every time you need to make coffee. 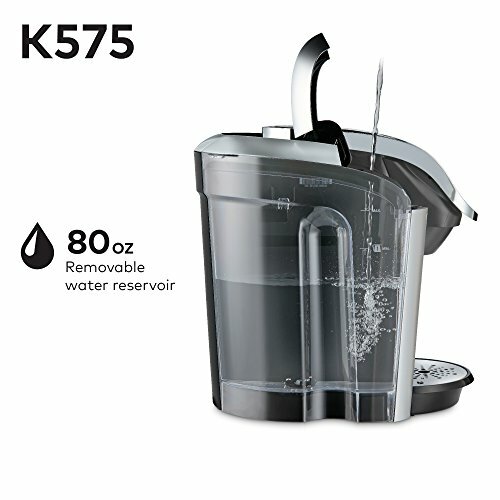 With the only difference between the K525 vs K575 being the fact that the K575 comes with a water filter starter kit, the choice between the two machines will come down to whether or not you already have a water filter. It’s as simple as that. Keurig is renowned for releasing identical models under different model numbers. Personally, I just find it confusing and unnecessary. If you are looking for a cheaper, more affordable option the K250 is a great choice. It doesn’t have all the features of the K575 or the K525 but it is a very capable coffee maker. It has a slimmer more compact design making it a great choice if you have limited space on your kitchen counter. It does have a smaller 40 oz. water reservoir, but it is sufficient to give you about 3-4 cups of coffee between refills. Compared to the likes of the K575 the display panel is very small and only in black and white, but it is fully functional and gets the job done. No matter which model you choose to purchase you can be assured of a great quality coffee maker. There is a reason why Keurig is the favored brand when it comes to coffee makers and it is because that even though they tend to confuse us with the identical machines with different model numbers, there coffee makers are all of the highest quality and offer you great value for money.